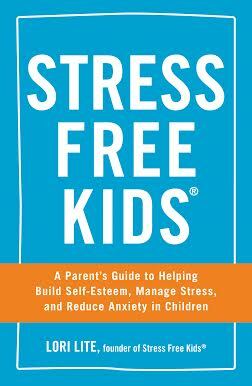 These tips to stress less and enjoy family mealtime are provided by guest author, Lori Lite, the author of STRESS FREE KIDS®. Shift your focus from “doing” to “being” part of your family and you will increase love and reduce stress. As the parent you can bring relaxation awareness into many areas of your life. You can counteract fast living with slow meaningful moments. When you do this, you not only reduce stress but you also strengthen your family bonds. Most families try to eat dinner together but breakfast creates just as many opportunities to relax and connect. Besides the obvious benefits of family time and creating family bonds; studies suggest that families that eat dinner together are more likely to eat healthier, suffer less from depression, do better in school. In fact, a 2011 study out of Columbia University even shows that children who regularly eat dinner with their families are less likely to smoke, drink, or use drugs. This simple act of eating together keeps entire villages together…so imagine what it can do for your family! Here are a few tips to help you incorporate relaxation strategies into your family mealtime. Play relaxing music. Take the family mealtime opportunity to explore various types of music and introduce your children to emotional intelligence. Ask them how the music they are listening to makes them feel? Do they feel calmer than they did at school? Do they feel healthier? Do they feel happy? Get them involved with picking a different type of music each day. Give everyone a turn to choose the music genre and see how this transforms you mealtimes. Involve your child in your meal. Have your children grocery shop with you or visit the local farmer’s market, so they begin to understand where food comes from. Once you are back in the kitchen, they can help prepare the meal. Many adults use cooking as a way to de-stress. Kids will also be more interested in eating dinner as family if they helped participate in its creation. Laugh. Make a point to lighten up during family mealtimes. Laughter reduces stress and creates lasting happy memories. Try laughing instead of scolding if someone drops his or her broccoli on the floor. Take turns sharing something funny that happened during your day. Refuse to be a short-order cook. Make one meal for the entire family instead of caving to your child’s demands for “kid” food or meeting each child’s individual food preferences. Make sure the family meal includes at least one item you know the children will eat. Hold Hands. Reach out and hold your child’s hand while sitting around the table. It might take them by surprise the first few times but one day they may be the one reaching out for your hand. 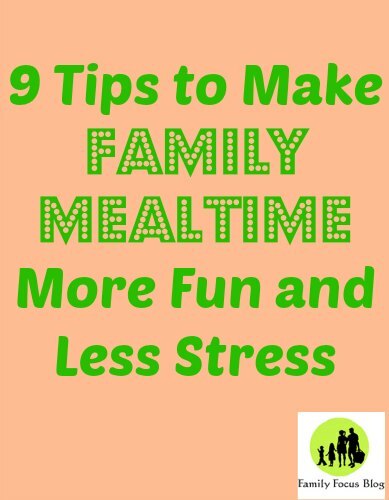 Make family mealtimes routine. By serving dinner or breakfast at roughly the same time every day and sitting together at the table without distractions you send a signal that mealtime is a priority. Turn the TV, cell phones, and any other screens off. All those screens cause unneeded stress. Eat by candlelight. It doesn’t need to be a special holiday to change the mood. Even breakfast takes on new meaning when candles are lit. Introduce the relaxation technique of clearing the mind. See who can focus their gaze on the candle without talking. Ask your children if they were able to only think about the flame. Pick your battles. Requiring your child to clean her plate before leaving the table just sets you up for a battle and lots of stress. Instead, allow your child to choose what and how much she eats from the healthy options you serve. Less power struggles mean less stress. Be positive. Serve up a plate of affirmations or positive statements with your meal. Take turns giving each other a compliment. Put a little love note under their plates for an extra family mealtime surprise! 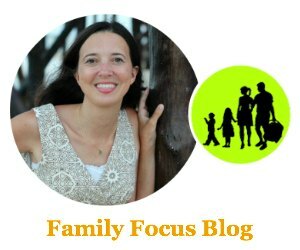 I hope these family mealtime tips help make your family mealtimes more meaningful and fun. With just a little bit of effort you can reduce stress and increase love. Family mealtime can and should be a healthy winning situation for you and your family. What do you love about family mealtime? I love the tip about holding hands. That’s the kind of things that kids remember fondly as adults and pass on to their kids.